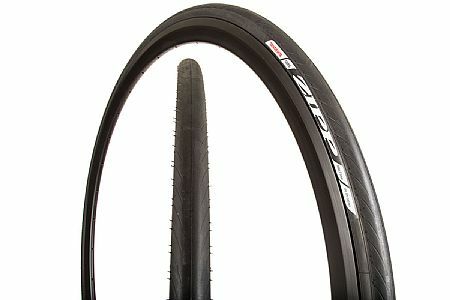 The Zipp Tangente Course Clincher has been my go to training tire for the past 2 years. Like any tire it will flat out with steel splinters from blown car tires and sharp fragments. However, I never have to worry about side wall blow outs that seem to be a common event on Continental GP 4000S. I have had my share of sidewall blowouts leaving me stranded on hot Arizona roads with no cell phone reception. I have put deep trust in these tires and change them out every 3500 miles of riding regardless of remaining tread life. I ride 300 miles per week on average according to Strava. This tire is light durable and rolls very well. At this point there is no reason to change training tires. a go-to choice for road tires. I've ridden many other brands including the most expensive clinchers on the market but the Zipps just keep cranking along w no problems-just like their other products. Great tire, fast, corners great very firm. Noticly fast tire. Definatly recomends this for races or every day. This tire is smooth, corner great an seems firm grip to the road. Very fast tire. So far nothing i don't like about it. Nice ride and very durable for the price. Very happy with the tire, nice ride and 1,500 miles with no flats. The tires are very delicate took on one ride just to find out tha there were to hole on side that I have no idea how they got there simply because I don't remember going to any debris on the road.